Colin,our Head Coach,love and passion for the sport of Trampoline began at the age of 14. Within a few years he began to compete firstly in the North West Region then onto National Level and Youth International. He was able to travel around the country to train at the best Trampoline Clubs along side the top competitors at the time who have gone on to be high performance coaches today. 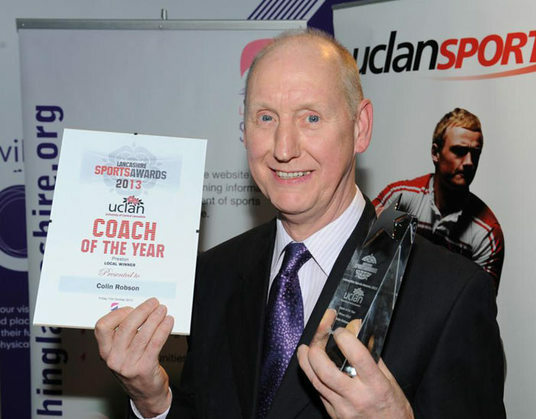 During this time Colin also gained his coaching qualifications. Due to family and work commitments Trampoline took a back seat but not for long! Due to changes within the sport and equiptment during that time it meant Colin needed to retake his coaching qualifications plus in 2004 he also qualified as a Senior Club Coach. The Robson family moved to Preston in 2002 . Wherever Colin is his first port of call isn't where the nearest shop it its where is the nearest Tramplone Club is,at that time he struggled as the local ones were over subscribed with long waiting lists. The seed was planted and together with the drive and sheer hard work from Colin,Angela and Fiona initally and a single Trampoline in a School hall Preston City Trampoline was created. The club has gone on from strength to strength developing into a successful,ever evolving recreational and competative club, where we also offer not only Trampoline but also Gymnastics,Freestyle and Disability sessions. We are proud of who we have become and welcome all to come and join us .